When we think of health tech on a consumer level, the first thing that comes to mind is wearables – activity and fitness trackers that help us keep on top of physical activity, sports, sleep, caloric intake, heart rate, and more. But the category has moved far beyond that. Consumer health tech today encompasses a myriad of devices, from wearables to portable blood pressure monitors, smart scales, smart clothing, and more. Here are just a few exciting products that we’ll see in 2018. This health tech device not only helps you better understand your sleeping habits, but it can also give you some insight into issues with snoring. 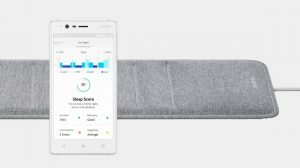 It’s a rectangular pad that fits under a mattress, and communicates with a smartphone app to report on sleep stages, including deep sleep and REM, along with heart rate. If you suspect that you or your partner is snoring, and want to explore further treatments if necessary, the device can also help by measuring low frequencies audio signals and respiration rate to provide a detailed report of snoring incidents. Beyond its health uses, the Sleep can also communicate with other smart home devices via the IFTTT platform to sync your sleep and wake times with home scenes. 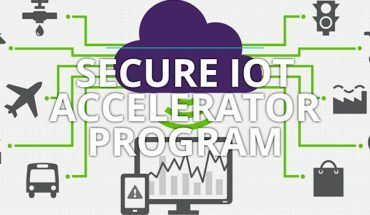 For example, you could program it to turn off the lights anytime you lie down in bed, or for the thermostat to drop a few degrees as soon as you officially fall asleep. Available in the first quarter of this year, it will sell for US$99. We’ve all heard of online DNA testing through companies like Ancestry DNA and 23andMe. 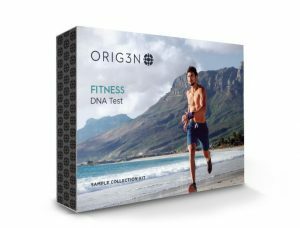 Orig3n’s tests focus more specifically on fitness and nutrition versus your family heritage. Choose the desired test, then provide a saliva sample, and wait 2-3 weeks for your result. Various tests are available, including a Fitness test that can determine how your genes affect your fitness potential; a Beauty test for looking at your skin; Superhero test that measures your aptitude for strength, intelligence, and speed; a Behaviour test that looks at your mind-body connection and how your biology affects your brain; a Nutrition test that will tell you what you should be eating; a Child Development test; and others that look specifically at things like vitamins and genetic predispositions to deficiencies, metabolism, joint care, caffeine tolerance, lactose intolerance, and more – you can even check if you have the genetic ability to break down alcohol. Pricing ranges from US$30 up to US$150, depending on the test. It’s an interesting way to look into specific factors that are important to you, or get a glimpse into your overall health. Part and parcel with living a healthy life is eating well. And that includes a balanced schedule of meals. While the jury is out on the benefits of “juice cleanses,” there’s no denying that a smoothie full of fresh fruits, vegetables, nuts, and grains can be a great way to get your daily intake of important vitamins and nutrients. 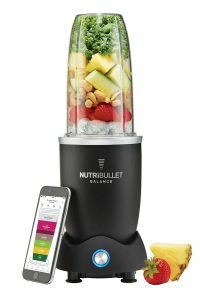 With this smart appliance, you can use the app to advise of dietary restrictions (for example, if you’re allergic to nuts or gluten), and your wellness goals (maybe it’s weight loss) and it will generate fitting recipe ideas. Select the one you want, grab the ingredients and pour them in, one at a time. As you pour in each ingredient, the Balance will measure it in sync in the app, and let you know once you’ve poured in the right amount and can move on to the next ingredient It will also show a running tally of calories. When ready, a custom blend cycle will commence, so your favourite smoothie comes out consistent, every time. Whether it’s for an after workout snack or quick morning breakfast, a fresh smoothie is a great way to promote healthy habits. Q2, US$179. On the health tech end for the elderly or those who are already in declining health, the Aladin lamp is a neat option. Place one of the long, rectangular lamps with round edges in every room of a senior citizen’s apartment, for example, and it will continuously measure movement and temperature changes in the room, along with providing light. If the person happens to fall, it can detect this and will notify emergency services or a caregiver if the person is unresponsive. The lamps connect via Wi-Fi or, if the person does not have Internet at home, they can be used with a 3G key. US$300 per lamp.